Jesse, a recent commentor, asked why I haven’t been posting much lately. In fact, my last post was August of 2017. Well, there are several reasons I don’t post much these days. In part, I’m not convinced anyone is reading. It’s nice to see a comment now and again to realize it’s not just spambots looking at SZ. The other major reason was a job change. I moved to Cisco over two years ago, and I came in as an individual contributor (IC). I liked to joke that I had never been so busy since…the last time I worked at Cisco. However, as an IC, I had no idea how easy I had it. Someone got the crazy idea to make me a manager. So now, not only do I have the Principal Technical Marketing Engineer title, I also manage a team of 10 TMEs. 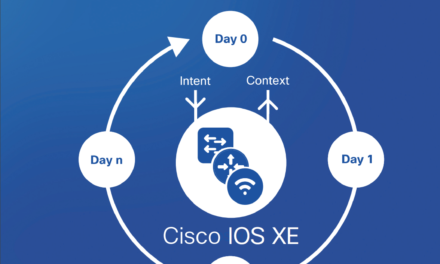 The team happens to be driving Software-Defined Access, currently Cisco’s flagship product. So, the time for blogging is a bit limited. I’m still working on programmability in my spare time, and I’m continuing to do Cisco Live sessions at least twice a year. My hair is turning white and I don’t think it’s just my age. That said, I cannot image a better job or place to be than this job at this time. It’s an exciting company to work for, and an exciting time. The team that reports to me includes some of the smartest and hardest working TMEs in Cisco. These guys are legendary. (For me “guys” is gender-neutral, for those of you who worry about such things.) And my boss is considered by many to be one of the best who ever did the TME job. A quick primer on exactly what a TME does, for those who don’t know: We are (usually) attached to a business unit within Cisco, and we are really an interface between sales and engineering. We also work directly with customers, but generally when sales pulls us in. TMEs are technical (the “T” in “TME”) so they are expected to know their product/technology in detail. They are, however marketers (the “M” in “TME”) so they need to be able to explain what their product does. On the inbound side, we learn the requirements for products from sales and customers and communicate those requirements to engineering. We work closely with Product Managers (PMs) to develop Product Requirement Documents (PRDs) and meet regularly with engineering to ensure that they are building their products in a way that satisfies marketing requirements. On the outbound side, we develop collateral, which could be white papers, videos, slide decks, etc. (We do not write the documentation you see on CCO, but we certainly review it.) We present to our sales team in twice-a-year events, explaining the latest developments in our products and collecting their feedback on what we could do better. We travel on site to meet with customers in support of sales, or else meet the customers here, at the Executive Briefing Center (EBC). The most enjoyable part of the year, for most of us, is Cisco Live, our major trade show. We have four CL events each year: Europe, South America, Australia, and US. The US event is the largest of all. I generally attend both Europe (we were in Barcelona this year) and the US event (Orlando this time). These events are a blast, but I never realized how much hard work goes into planning the event and developing the content. It’s also stressful. I’ve been fortunate to win distinguished speaker two events in a row, which means I was rated in the top 10%. However, standing in front of an audience of hundreds is always a bit nerve-wracking, and getting ready requires a ton of preparation. Still, it’s a great opportunity to meet with customers and have a good time. The pace of work for TMEs is relentless. I used to say TAC was relentless, because the second you close a case, you take another. Well, with two SEVTs (sales events) and four Cisco Lives to prepare for, plus a constant and never-ending series of product/software releases…well, it never stops here either. So that’s why the blogs have fallen away. I do think I can find 10-15 minutes to post updates at least every week, so I’m going to try to do it. I wouldn’t mind actually writing the series on programmability I started. I’d like to clean up and revise the 10 years a CCIE series. I also have another TAC tale to write up, one of my all-time favorites, so look for that soon. And to Jesse: thanks for getting me going! Finally, been waiting for some time now. I visit your blog every now and then. Thanks for reading! Sorry for neglecting the blog. Regarding your CCIE series, what are your thoughts on the CCIE update (https://learningnetwork.cisco.com/community/learning_center/ccie-ccde-evolving-technologies) ?